A wondrous tale of magic and monsters: a walk into the dark fairytale forests of your mind. David and Penny have a new home, deep in the forest. A place of joy and darkness: the childhood home of their mother, who recently died. It feels magical – and it is. 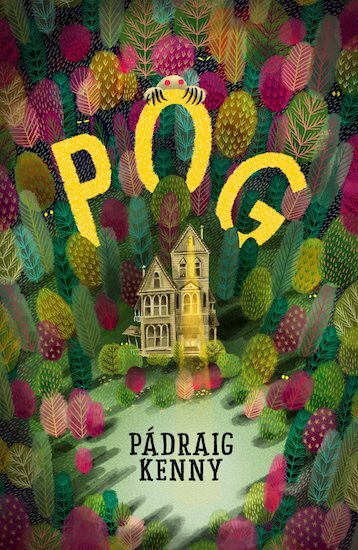 The trees and dappled shadows are home to strange creatures like tiny, hairy Pog. He’s one of the First Folk, guarding the boundary between the worlds. But now the boundary seems to be melting away. As the children explore, monsters slip through from the place on the other side of the cellar door. And what’s that odd voice, full of eerie promises, that calls to David from the darkest depths of the woods? HL710L Lexiles are the global standard in reading assessment. They are unique as they are able to measure a child and a book on the same scale – ensuring the right book gets to the right child at the right time.